Holy Family Catholic School is nestled in between Walthamstow station and Wood Street station, a 10-15 minute walk from both. 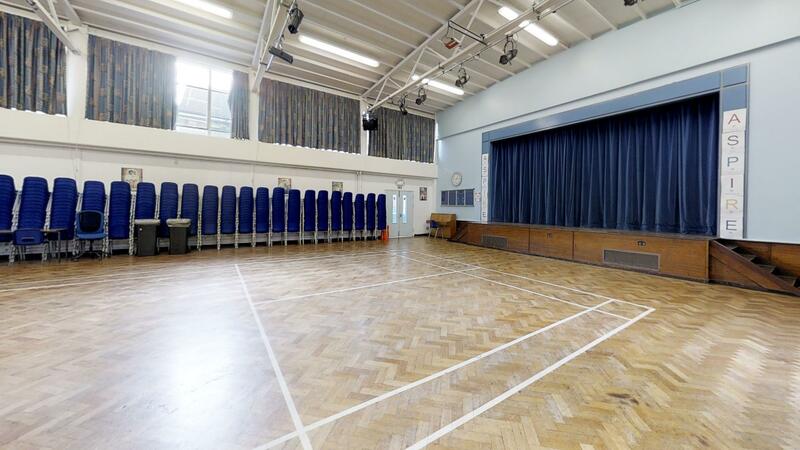 It boasts a dining/main hall for hire which is perfect for up to a 400 people church group, a gym, a drama studio, a newly built classroom block, and from 2018 there will also be a new and shiny Sports Hall available for hire. 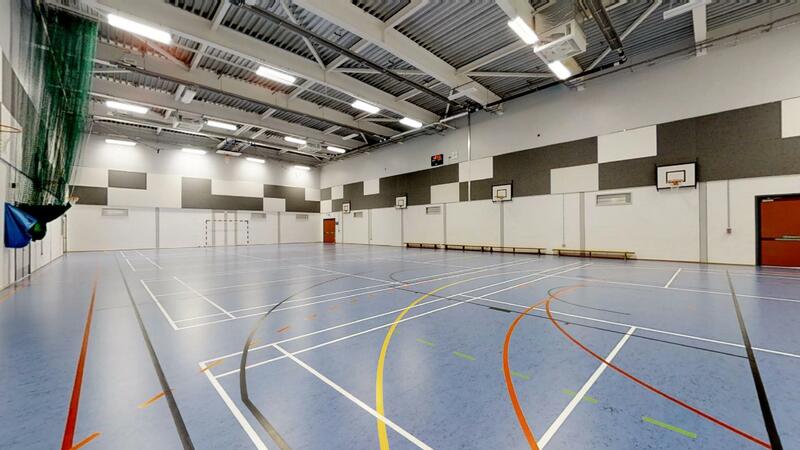 Holy Family's shiny new sports hall was just opened in June 2018, and we would love for you to be the first ever football, netball, basketball, or another sports group really, to use the hall. It comes kitted with various sports marking and equipment so do get in touch if you need more information! 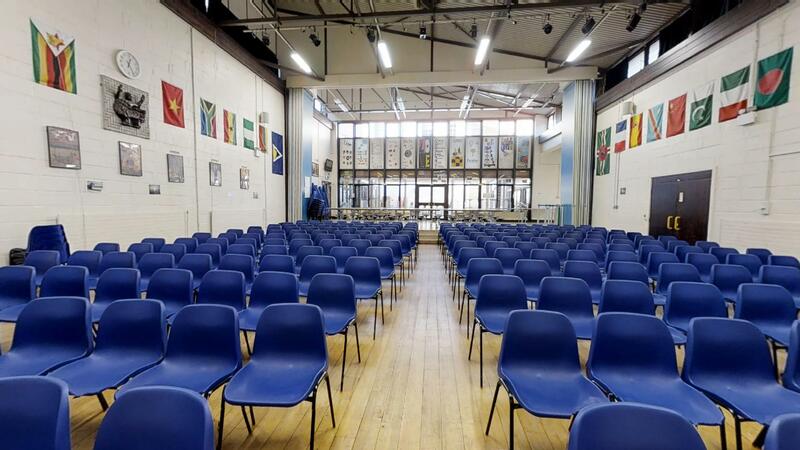 Walthamstow site main hall: if you're looking to hire a space for your performances, private parties, or fitness classes, you might have hit the jackpot here. This main hall is based on the Walthamstow site, and is available for hire. It can hold up to 400 people seated, and has plenty of natural light making the room light and airy. Wiseman site main hall - this is the slightly smaller main hall, and comes with approximately 360 chairs and beautiful wooden flooring. We think its a great little spot for exercise classes and private parties. Get in touch to find out more. 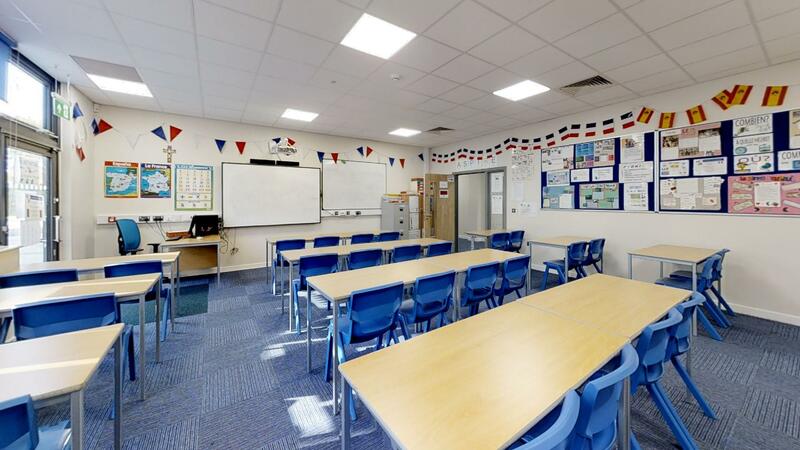 If you're a tutor, be it for maths lessons or language classes, the Holy Family School classrooms are perfect for you. These can hold approximately 30 students, and are available across the school and work well hired in conjunction with a hall. 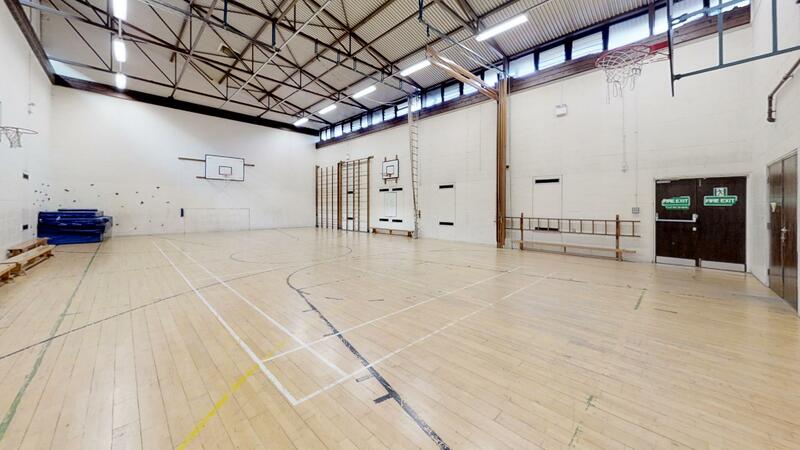 Nestled in the heart of the Walthamstow site of the school, this multi-functional gym is ideal for any of your sporting needs and comes equipped with basketball hoops and plenty of sports line markings. As the area is so richly populated with sports minded residents, this is a fantastic location to train with your teams. Get in touch to find out more. Holy Family Wiseman site's drama studio features high ceilings, black out curtains, and lighting for the optimal atmosphere. 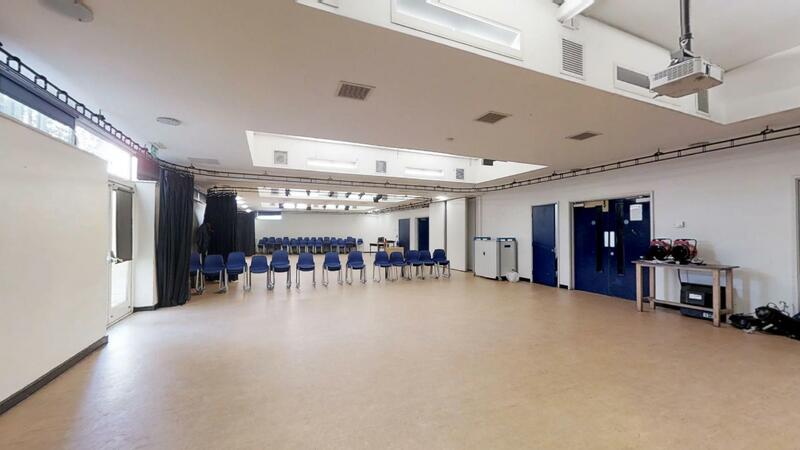 The space would work perfectly for a theatre group using multiple facilities, or for any type of rehearsals. There is also a sound proof divider that can be put across the room, meaning that the drama studio can be hired as a whole (£40) or by halves (£20). 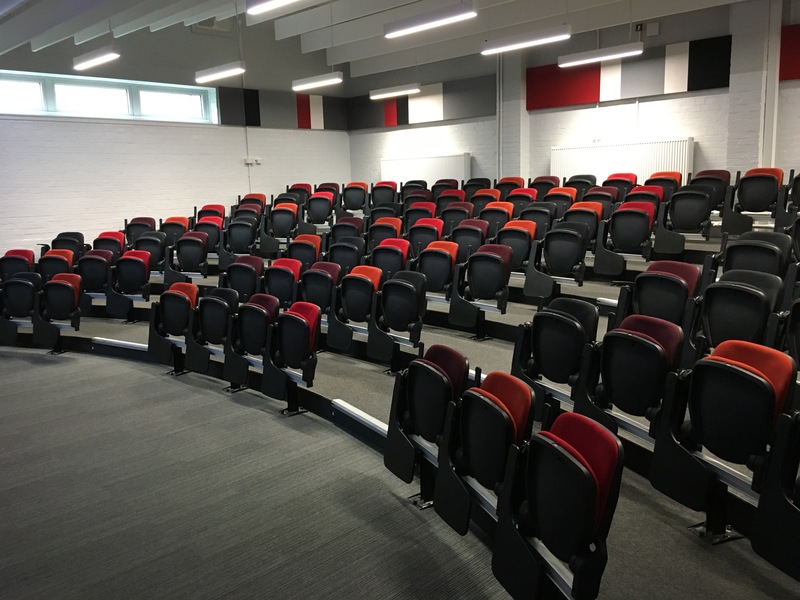 The lecture theatre on the Wiseman Site is a wonderful space for meetings, formal gatherings and corporate events. It has tiered seating and it is carpeted. Please enquire for more details! If you are looking to book Holy Family School, please plan in advance! We are unable to accept bookings or amendments less than 7 days in advance of your proposed start date.